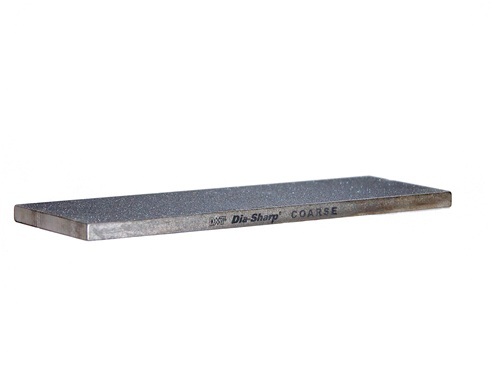 Expect cutting edge performance with DMT® 's Dia-Sharp® 6” continuous diamond sharpening bench stone. For knives, blades and fine tools. Size: 6" x 2" x 1/4". Includes non-skid rubber feet. Diamond grit clearly marked on side of stone. Choose from the following grits: extra-fine, fine, coarse or extra-coarse.